The driver will meet you at baggage claim and will be identifiable by a sign with your name. 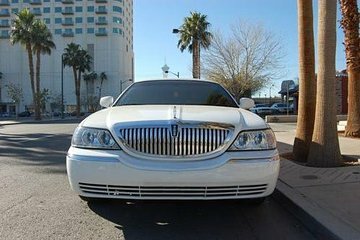 Skip the stress of finding a taxi or sharing a shuttle and arrive at your Las Vegas hotel in style with this limo transfer. Simply enter your details when you book, pay in advance, and then show your voucher to your driver when you land in Sin City. Meet your chauffeur at the airport, and then sit back and sip on a complimentary bottle of Champagne as you take in the bright lights of Las Vegas from your super-stretch limousine. Price is per person, based on six passengers per vehicle. Price is per person, based on 6 adults per vehicle. Nevada law states children who are younger than 6 years old and weighs less than 60 lbs. must ride in an approved safety restraint system. Customers are responsible for bringing this with them. This cannot be supplied by the operator. driver was waiting at the exit from customs,unfortunately he had the wrong name displayed.had to phone office and ask where he was was told he was there.eventually they phoned him and we met up.that took about 20 minutes not what you want after a long flight.driver was pleasant and helped load luggage into limo.didnt get 1 hour tour of strip prob about 30 mins.when we arrived at our hotel he asked who the big tipper was when we said according to our bookig gratuity was included he wasn't happy. Just took this tour again in 2017. It was a very different experience. We paid a lot of money for a 10 minute ride in 2016. In 2017 our driver took us around Vegas on the way to the hotel - it was fantastic. Don't know why the difference but hope you get the good one if you book this! We took this exact tour once before and it was straight from airport to hotel - 10 minute ride. This time the driver took us on a nice tour of Vegas on the way to hotel - about a 40 minute ride. It was wonderful. I don't know what you have to do to get the one with the tour but so much better!! What a way to start our trip to Las Vegas, talk about arriving in style. 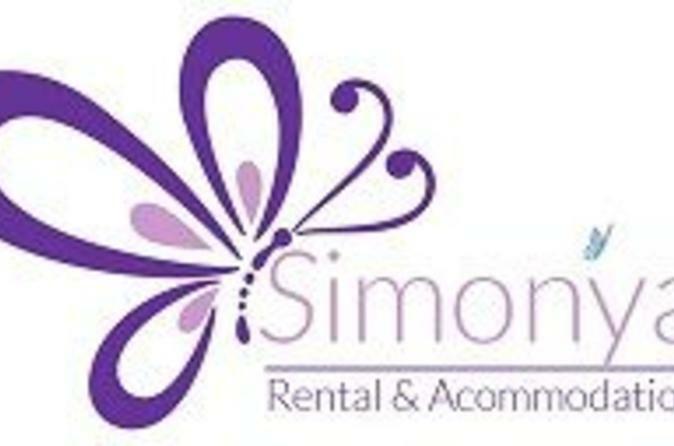 The limo was excellent, the driver was very friendly and tucking into a glass of bubbly wine was just what our group needed after a long flight. Highly recommended and good value when the cost is split amongst a group of friends. What a welcome. The chauffeur was very friendly and made us feel really special, a great touch to the start of our holiday. Our driver was lovely and waiting for us when we arrived and helped with the luggage which was all good. The car was amazing and exactly as descried however all our luggage didnt fit so we had to drive along with the boot open! The disappointing thing was that there was no champagne for us as promised. I showed the driver my booking confirmation which showed champagne was included but he said he didnt have any but offered to drive us to a liquor store so we could buy some! The other negative was that he had been waiting for an hour, he said the company sent him at our flight arrival time which seems ridiculous as they must know how long it takes to get through customs and luggage reclaim etc. This meant there wasn't a lot of time available and it was all a bit rushed. He did drive up the strip but I've read other reviews that they stopped at the 'welcome to las vegas' sign which would have been nice. It was a good experience and a cool way to arrive but Im not sure its good value when you can get a cab for about 20. The limo was late picking us up, so surprise totally ruined. Very old limo, was very warm and warm champagne wasn't even drinkable!! Total waste of money and very disappointed!! 20 mins arrived at hotel via back roads!This was not the reviews I had read so was very disappointed!